Purpose of this Subpart, Commissioner of Agriculture and Commerce, Mississippi Department of Agriculture and Commerce, Delegation of Authority, Contacting the Department of Agriculture and Commerce. Public Records Request Procedure, Procedure for Oral Proceedings on Rule-Making, Procedure for Issuing Declaratory Opinion, Ethanol, Genuine MS Guidelines, Animal Testing, Farmers Market Nutrition Program, Revolving Fund Guidelines, Grain Dealers, Grain Warehouses, Smoking Policy. Plant Diseases, Insects and Weeds, Commercial Feed, Fertilizer, Agricultural Liming Materials, Soil and Plant Amendment Law, Bee Disease Regulations, Penalty Assessment Guidelines, Pesticide Law, Pesticide Application Law, Crop Spraying and Licensing of Aerial Applicators; Regulation of Application of Hormone-Type Herbicide by Aircraft, Regulation of Professional Services, Pure Seed Regulation, Boll Weevil Eradication Rule. Retail Food Store Sanitation, Catfish Labeling, Tilapia Labeling, Egg Marketing Law Regulation, Syrup Containers Regulation, Country of Origin Labeling of Meat Products, Meat and Poultry Inspection, Petroleum Products Inspection Law, Weights and Measures Regulations, Organic Farming Regulations, Guidelines for Aquaculture Activities. 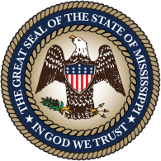 Purpose of this Subpart, Purpose of the Mississippi Central Market Board, Mississippi Central Market Board Composition, Chairman, Powers of the Central Market Board, State Market Manager, Duties of the State Market Manager, Contacting the Central Market Board. Regulations for the Livestock Shows shall be the same as the rules and regulations found in the current Mississippi State Fair Premium Book and the current Dixie National/Junior Round-up Premium Book unless otherwise noted in subsequent regulations.